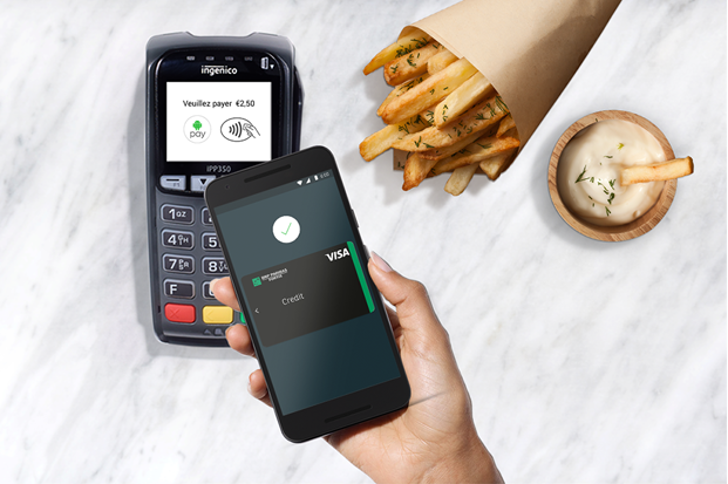 Belgium is next up in Google's ongoing, slow-moving initiative to bring Android Pay to more countries. Starting today, Belgians can use the contactless payments service at over 85,000 locations including places like McDonald's, H&M, and Carrefour. Only MasterCard/Visa credit cards from three banks are supported at launch: BNP Paribas Fortis, Fintro, and Hello Bank!. Debit cards and CBC/KBC are coming soon. Several apps, like Deliveroo and TransferWise, are also getting the Pay treatment for quick, convenient, and easy checkouts. Be sure to download the app from the Play Store, add your compatible card, and get to paying... with a tap. Mastercard yesterday announced the support of Maestro debit cards in Belgium with 2 banks: BNP Paribas Fortis Hello Bank, Fintro; and KBC/CBC/KBC-Brussels. That's great news for anyone in Belgium since, as our tipsters tell us, debit cards are a lot more popular and used than credit cards. The Android Pay support page for Belgium has been updated too to show all the currently compatible and unsupported cards. Thanks, Damien, Ambroos Vaes, Sandro Barilla!